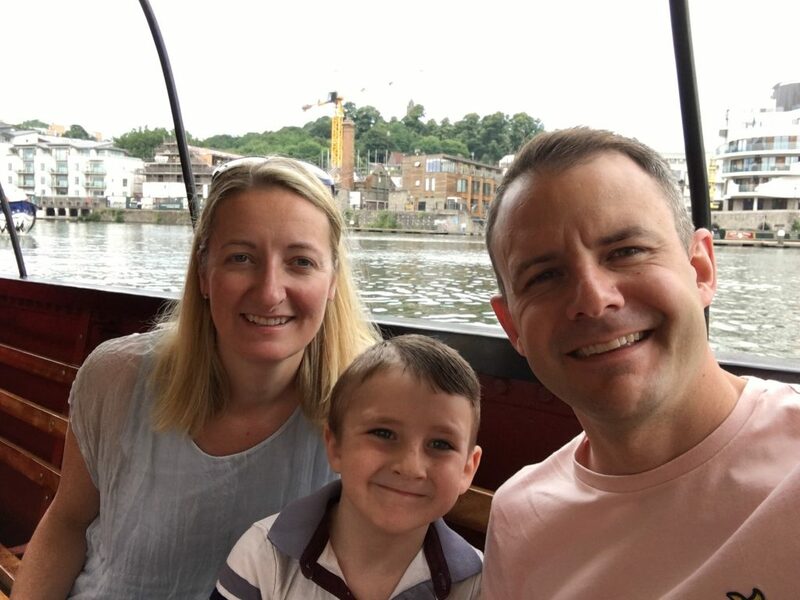 "Harry is doing very well now and a lot of that is down to the responsiveness of the Cornwall Air Ambulance"
A trip to the coast turned into a lifechanging experience for the Roberts family when they were on holiday in Cornwall last year. Five-year-old Harry was excitedly heading towards Trevone Beach on April 11 when he suddenly fell of the cliff and fell 6 metres on to rocks below. Harry luckily landed on top of his bodyboard, but had sustained a serious head injury in the fall. Mum, Becky Bishop, said: “I saw him disappear, I just dropped everything and ran. There were so many people that tried to help, he was clearly badly injured, but we didn’t want to move him. Cornwall Air Ambulance was tasked at 10:43am and landed nearby on the beach. Critical care paramedics Kris Lethbridge and Steve Garvey were with Harry in just 15 minutes. With poor weather forecast, Harry had to be initially airlifted to Royal Cornwall Hospital where he spent three hours, before being transferred by the larger HM Search & Rescue helicopter to Bristol Children’s Hospital for emergency surgery and further specialist treatment. Doctors told the family to prepare for the worst, as they were unsure whether he would survive his injuries. 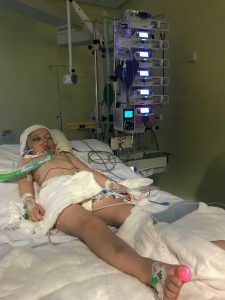 Harry underwent a four-hour operation, which his parents were told could leave him with cognitive issues or personality changes. He spent the next 8 days in a coma and in the months that followed Harry had a titanium plate inserted to reconstruct the damaged part of his skull. Thankfully, one year on from the accident and Harry has made a full recovery and is now helping to raise money for Cornwall Air Ambulance. Becky added: “We were very lucky; it could have been a very different story. Harry is doing very well now and a lot of that is down to the responsiveness of the Cornwall Air Ambulance. 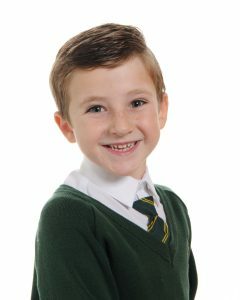 Harry’s school, Bickley Primary School, is supporting the Cornwall Air Ambulance as their favoured charity this year to say thank you for helping one of their pupils. They have a £5,000 fundraising target for the year and are almost half way there already!